Our Large Value Academic Medal makes a great participation prize for all students! 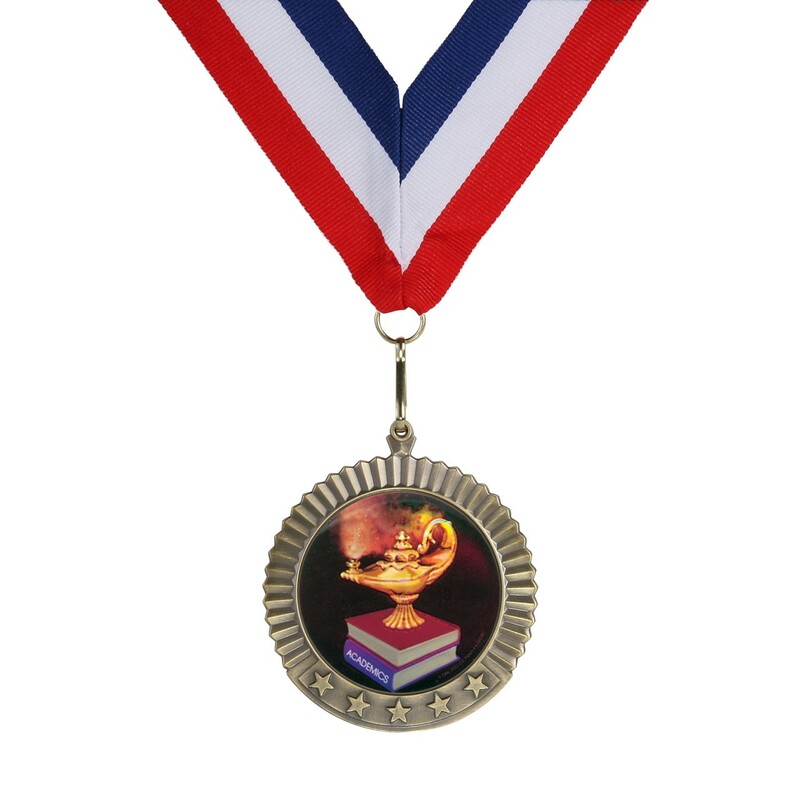 Our large academic medal is 2-3/4" in diameter and features a 2" full-color insert. This is a big, high-quality medal that winners love! 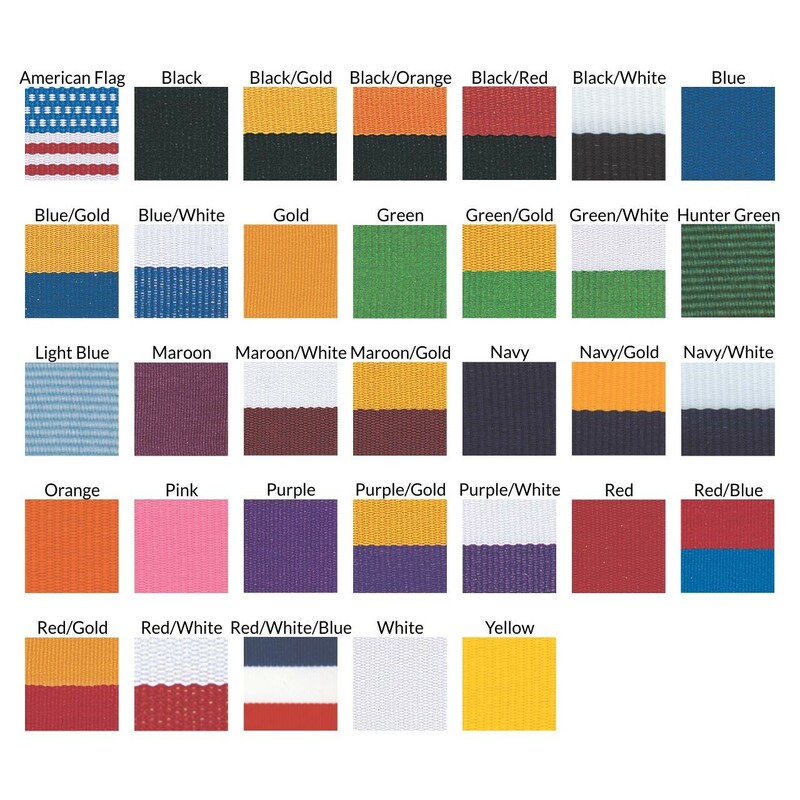 Your choice of gold, silver or bronze metal and neckdrape color. Price includes up to three lines of engraving.